Good news for Apple Inc. (NASDAQ:AAPL) investors: Reviews for the iPhone X started hitting last Friday and they were largely positive. Combined with the rapid sell out of pre-sale inventory and a return to long lines outside Apple Stores for the iPhone X launch on Friday, AAPL stock hit new record highs on Friday morning. 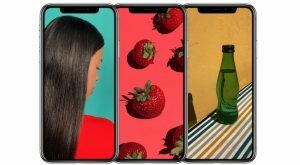 However, Apple also quietly released a support document on Friday that states the iPhone X display could suffer from color shifts and screen burn-in over time. This is the same issue that has turned Alphabet Inc’s (NASDAQ:GOOG, NASDAQ:GOOGL) Google Pixel 2 XL launch into an exercise in damage control instead of a triumph. In the document, Apple is admitting that the the iPhone X display is not immune to color shift or screen burn-in, two issues the Google Pixel 2 XL is being roasted for. The company is also protecting itself down the road by stating this is “normal behavior,” not a defect. Both the Pixel 2 XL and the iPhone X ditched traditional LCD technology for OLED displays. OLED is thinner, more power efficient and more flexible than LCD — qualities that are attractive to smartphone designers. The displays are also capable of much higher contrast than LCD, so consumers often prefer the look as being more vibrant. However, OLED has tradeoffs. Over time, OLED display panels can suffer from screen burn-in, where a previous image can be seen faintly on the screen. It can also show more extreme shifts in color when viewed from angles than LCD screens. Google’s Pixel 2 XL display has been a disaster. Using new POLED panels from LG, the Pixel 2 has been hammered in the press by reports of screen burn-in and a blue tinted screen. The iPhone X display, on the other hand, uses OLED display panels from Samsung Electronics. Samsung’s OLED display panels are proven and haven’t suffered from the same issues as the LG versions. The key difference is that some of LG’s POLED panels appear to be exhibiting issues almost immediately. The iPhone X display has fared very well in reviews, but Apple is setting expectations that it could begin to show signs of issues like screen burn-in over time. Unlike Google, Apple has a solution for potential customers who want a big smartphone with a traditional LCD display. Apple fans who are wary about the potential for iPhone X display issues can instead opt for the iPhone 8, using tried and true LCD technology. Will This Admission Hurt AAPL Stock? Clearly, Apple investors are more concerned with the glowing iPhone X reviews and launch day line-ups than they are with the potential for the screen burn-in, or any Pixel 2 XL-like backlash. AAPL stock was up over 3.5% on Friday morning on the strength of the first round of official reviews. And Apple chose the tried and true Samsung OLED panels for its new flagship smartphone rather than gambling with the new LG versions, minimizing its risk. Still, the company has learned from Google’s struggle and is getting ahead of the OLED display challenge. Your iPhone X display may never show symptoms of screen burn-in. But if it does, Apple can point out that it clearly warned potential buyers of the “normal behavior” limitations inherent in the technology. Buyer beware is better than nothing, and the admission has done little if nothing to hamper consumer — or investor — enthusiasm for Apple’s new flagship iPhone. Article printed from InvestorPlace Media, https://investorplace.com/2017/11/apple-inc-iphone-x-display-is-not-immune/.